Foot levelers specialize in products that are designed to improve your quality of life. With the individually designed Functional orthotics– we want you to live pain free and healthy. By stabilizing and balancing your feet, Foot Levelers orthotics enhance your body’s performance and efficiency, reduce pain, and contribute to your total body wellness. 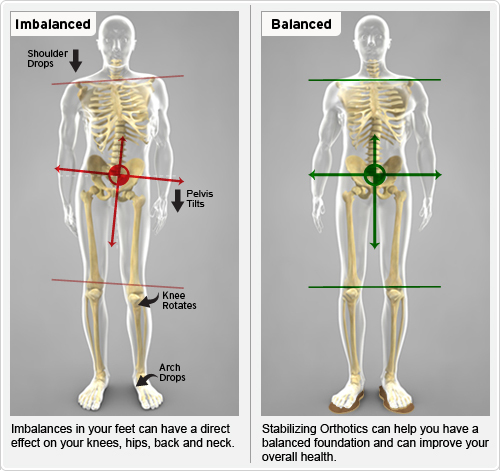 Our orthotics complement your healthcare professional’s treatment when you stand, walk, and live your life in balance.